You are here: Home / Blog / Game Design / WordPop! for iPad – Who’s iPad is it? Why can’t we have this feature on the iPod Touch, which is also shared among family members? It’s great for the iPad, but it could be a while before many of us get one, if ever. Many new features for the iPhone are driven by requests and our own desire to keep the game fresh and interesting. 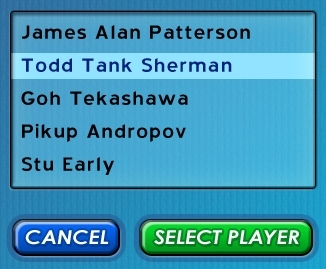 We have a great list from players but Sign-In has not been requested until now. I will add it to the list.